Anonymous, the hacker collective taking on ISIS, might have a foe even more difficult to thwart than Middle Eastern extremists, Twitter. Since the middle of 2015, Twitter has upped its efforts to remove accounts associated with terrorism by removing some 125,000 accounts linked to extremist groups, like ISIS. Recent studies have shown this to be an effective tool for fighting ISIS’ recruiting efforts. This plan, it seems, is not without collateral damage. Anonymous reports that a number of its accounts — accounts that were actively supporting the fight against ISIS — have been caught in the crossfire and temporarily suspended without warning earlier this month. Twitter hacktivist WauchulaGhost used the platform to speak out on the recent suspensions. WauchulaGhost appears to be referring to #OpISIS, a known Anonymous operation seeking to empower the masses through training materials designed to sniff out and report known extremist accounts. These accounts are often used to spread images and text designed to aid in ISIS recruiting and propaganda efforts. [Deleting Anonymous accounts is] biting the hand that feeds. Twitter has repeatedly said that they rely on reports of these accounts in order to process removals, we’re providing this [sic] reports on a daily basis — tens of thousands of them so far. So I ask, who is reporting our accounts if not ISIS? It’s a digital war zone and Twitter is actively stealing our ammunition. The second you take Anons out of the question, Twitter goes back to being a shitstorm of ISIS supporters and terrorist propaganda. 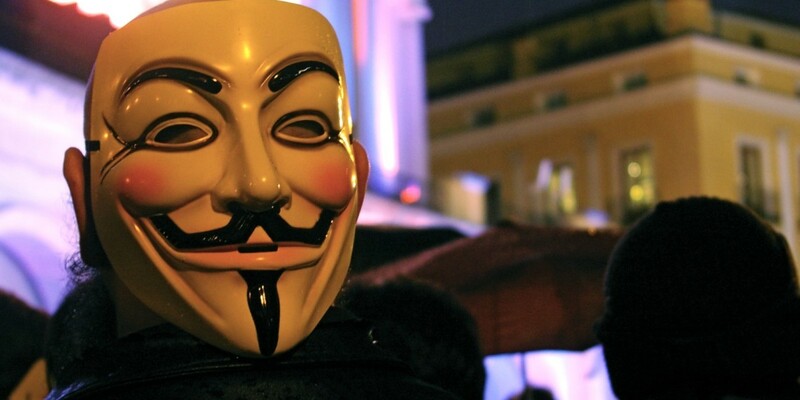 Twitter couldn’t immediately be reached for comment but it should be noted that the platform typically re-opens Anonymous accounts within a matter of hours after being bombarded with requests from the hacktivist community.